Believe it or not, the job of a UX designer is knotty. After every nook and corner of the website refined by the UX designer, down to that last element to ensure the ease of access, if the feedbacks and criticism of the client pays it all, the designers enter a perplexed state, unable to bear such arguments. What Does Your UX Design Fail to Achieve? – Intuitive: Users get annoyed when what they want is not served to them instantly. The UX solutions must feed the users with basic elements, as a top priority. – Consistent: Patterns of UX designs are expected to resemble that of similar products. In simple words, consistency in the UX designs must be maintained. For example, if you plan to develop a social networking app, the patterns other apps have used must be your framework. – User-centered: The only priority of a UX designer is to make things simple for the end-users. Identify their needs and the features they long for in a website. Although Snapchat has its UX design scrambled, it doesn’t bother their target audience. They can search for solutions and share their opinions on social media about Snapchat’s tricks. Food for thought, your clients use apps too. 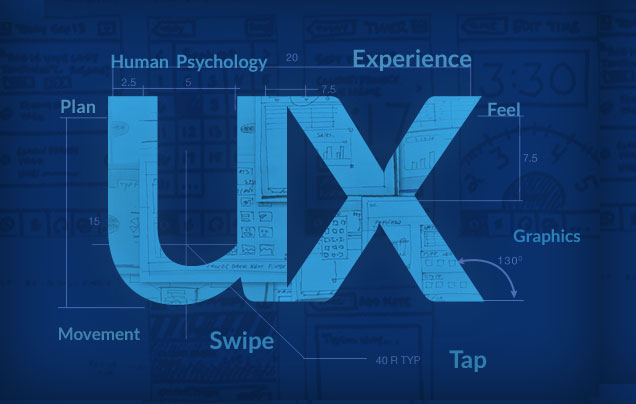 Your UX designs are examined through the eyes of an end-user, critically assessing your job. Anything that deflects from the common design pattern may be unconvincing. Both the User Interface (UI) and the User Experience (UX) go hand in hand. The user accesses the interface or the interactive elements of the page via UI. Though the importance of both the UI and the UX cannot be compromised, there exists some difference between the two. The UX design drives the users interact to with the product. It defines how well the users can navigate through the app. Does the positioning of the elements of a page satisfy the users? Basically, a user-friendly interface is the sole objective here that raises no questions in the mind of the users. UX design focuses on the arrangement of page elements and UI design aims at making them looks visually appealing. Yes, the styles and colors do entice the clients more than the handiness of an application but it is the job of the UX designer to flip the side of the coin and make them realize that UX design solutions make up the better part of a beautifully wrapped app. Can You Handle UX Design Arguments? Point worth being noted here: Your clients are no design gurus. Generally, your audience is unaware of the effort you put up behind the screen. They go with their instincts. A talk with your clients, explaining the design to them can solve misunderstandings and improve your customer-relations. – Presenting a mood board: A collection of reference designs is called a mood board. Through these, you could get inspired, share and present your design ideas. – Relying on guidelines: In some cases, clients may want a harmful feature in their product. Certain protocols are applicable to a particular product, called Guidelines which guard a designer’s argument. – Show best practices: Convince to your client that the user satisfaction dwells in following guidelines, recent trends and current best practices. – Compare Your Designs to the ones that Exist: Say, you find a product that resembles yours’s and it is a successful product. Comparing these would lead you to the conclusion of what best design practices genuinely mean. Some apps, like Seamless and Uber rule the app world because of their lightweight UX designs and best practices. Launching an app that offers the features of an existing app is difficult. However, following the best practices in UX design and creating a product could challenge your rivals. Milestones, Deliverables, and quality description could be formed into a single document that goes by the name Scope of Work (SOW). Including all activities and deliverables, a defined SOW helps you to stick to the requirements the clients specified in the beginning stage so that unexpected features posted by clients are controlled. The SOW also contains the acceptance criteria which facilitates your clients with a rough model of the result. Well, designers are fond of the receiving compliments and why not? Their hard work ought to be appreciated; yet, what if what they get in return is plain criticism? How must one handle this phase? One, be patient – If you think your client does not understand designs, yes, he or she may not. But they may have an upper hand in other professions. Two, be polite – Apart from a formal language, empathy must be your weapon. Give it a go and try to realize their ideas before rejecting them obliviously. Three, be supportive – Pay a heed to their feedbacks and absorb as many ideas as you can. An environment that’s approachable triggers positive vibes and simplifies collaboration.